As you may or may not imagine it, falls can be a big deal for construction workers. According to OSHA statistics (https://www.osha.gov/oshstats/commonstats.html), when one analyzed the over 4,000 worker fatalities that occurred in the private industry in 2015, a significant chunk, one in five worker deaths, took place in the construction industry. Breaking this data down further, the top four fall hazards and leading causes of private sector deaths in the construction industry were, in order of occurrence, falls, struck by object, electrocution, and the so-called “caught-in/between” accidents. An anchorage for example is a secure point of attachment. Free fall refers to the distance a person might fall before their personal fall arrest system begins to stop their fall. The maximum deceleration distance permitted is limited to 3.5 feet. 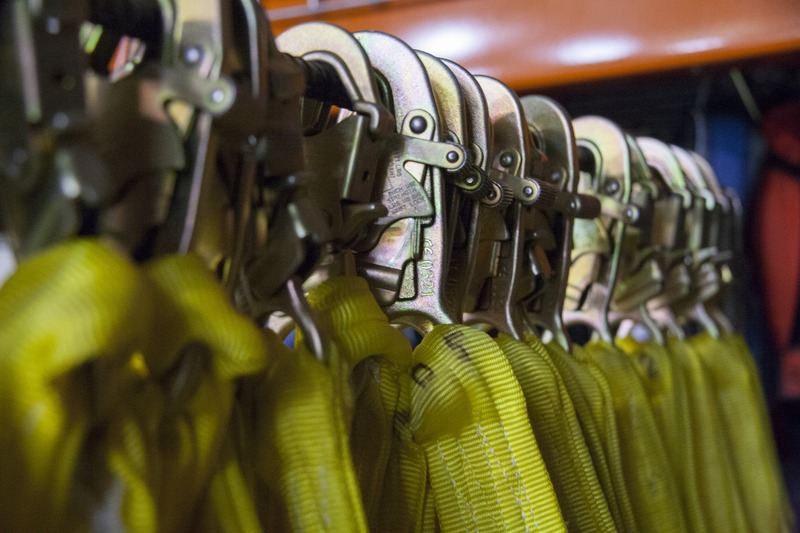 This section goes on to specify the strength of various components of a fall protection system, including the strength of lanyard and vertical lifelines, the inspection of equipment prior to use, and the load capacity of d-rings, snaphooks, and carabiners. Finally these components must also pass a flammability test, to ensure they will stand up in extreme conditions. Many companies offer complete architectural and engineering services to ensure that all the equipment they sell to industry will meet local, state, and federal codes, including the section 1926.501. They also offer the ability to integrate different kinds of equipment to meet unique and custom situations. It is estimated that the "Fatal Four" accidents put together comprise more than half (or 64.2%) the construction worker deaths in 2015, according to BLS reports. This data is important because it suggests that job related falls pose a serious threat to the safety of workers in the construction industry that at present are not being adequately addressed by the safety precautions that many companies are taking. Back in 2003, a study from Purdue University (Construction Safety Alliance (2003): "Analysis of Safety Programs of 16 Large Construction Companies.") actually showed that the numbers of falls decreases as the cost of the construction project increases and also that larger companies seemed more often to have figured out that it is in fact profitable to be safe. The results from this study also suggested that a most important factor contributing to reduction of falls was the commitment of a company’s upper management to establish a “safety-oriented culture” that was perceived to be a top priority for the company.